Stop HS2 encourages the use of it’s logo by action groups and other organisations which share the aims of preventing the HS2 project from going ahead. Under normal circumstances, we grant affiliated action groups the use of the logo for printed publicity and website use. To become an affiliated action group, please contact us at info@stophs2.org. We will also allow the use of the logo during efforts to form an action group and will help you in this process. Other organisations must contact us for permission regarding use of the logo. 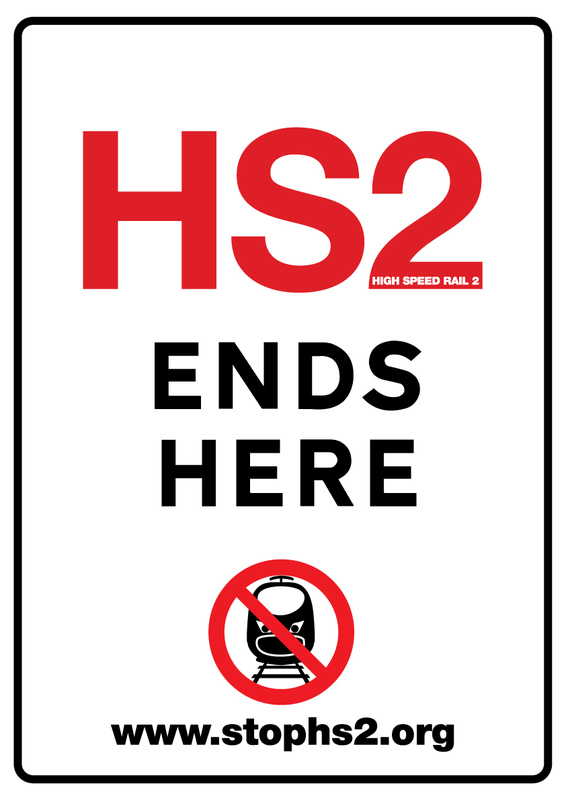 The Stop HS2 logo is of course free to use for individuals if you want to print it out and display it in your home or business. Please contact Stop HS2 if you want to use our logo for merchandising items for fundraising for local action groups. However, as an organisation which relies on public donations and sales of such merchandise, we may require a percentage of profits, either from the outset or after and agreed target has been reached. Additionally, we do not wish our ‘brand’ to be associated with sub-standard merchandise and need to prevent ‘passing off’. 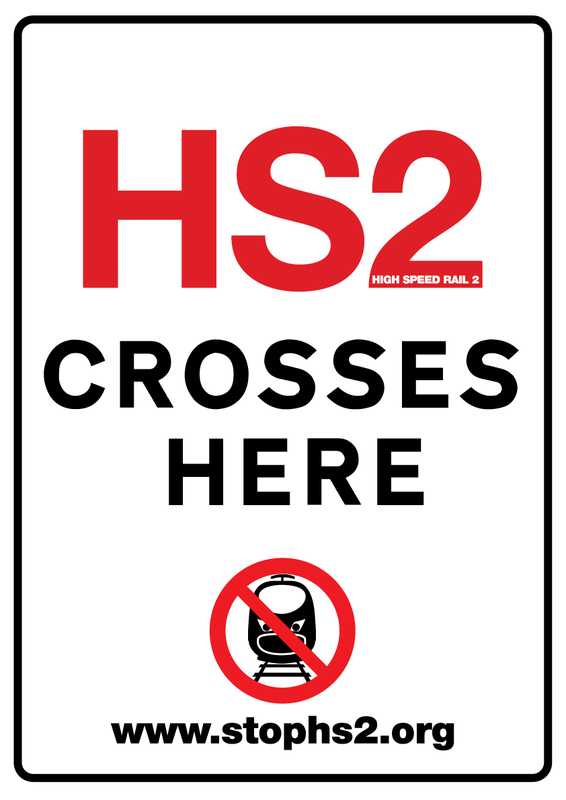 If you would like to use our logo on a product, please contact joe@stophs2.org. Please note that Stop HS2 has an online shop where many items you might want can already be found. In most cases, costs will be reduced by bulk purchase, so if you are an action group wanting a stock of materials, please contact us. Local actions groups which have been recognised will be allowed to use the Stop HS2 logo for fundraising materials, such as collection tins and leaflets which ask for funding, on the strict understanding that any funding will be spent locally by action groups, or passed on to Stop HS2. Action groups and other organisations MUST NOT use the Stop HS2 logo in conjunction for fundraising initiatives which do not meet these criteria without the express permission from Stop HS2 Ltd. It is essential that any member of the public donating money does so on the understanding that their money goes to Stop HS2 Ltd, or local activities which Stop HS2 Ltd supports. Using the Stop HS2 logo for any other purposes will be considered to be ‘passing off’, and may leave you open to legal action.